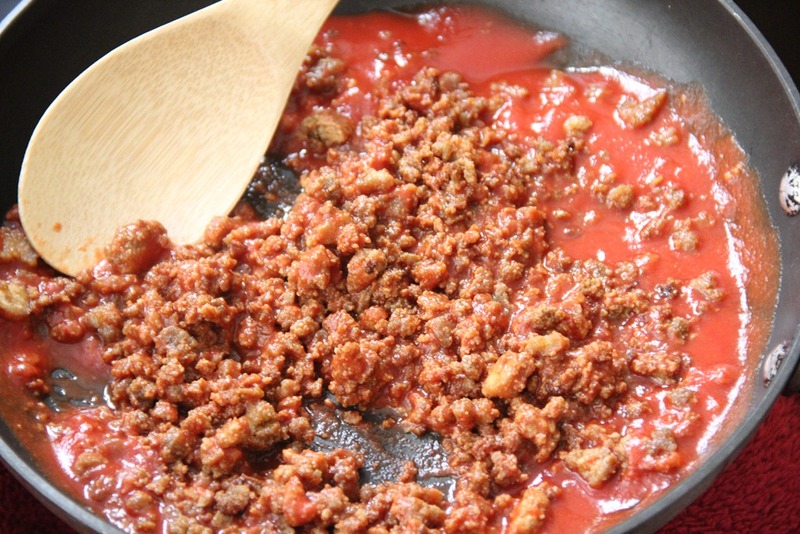 Yesterday, I posted a vegan recipe for ground beef. 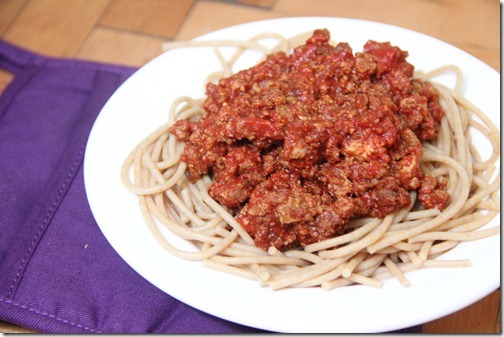 Today, I put that ground beef to use in a spaghetti bolognese. Without the animal protein, you get yourself a delicious and filling pasta dish. Enjoy! 1. Warm it up over medium heat with 1 cup of plain tomato sauce. 3. 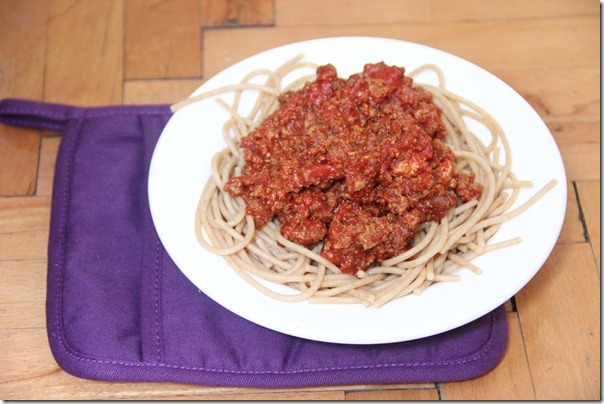 Scoop it atop 2 servings of spaghetti cooked according to package instructions. This entry was tagged almond butter, chili powder, cumin, garlic powder, ground beef, pasta, peanut butter, pepper, salt, soy, soy sauce, spaghetti, tofu, vegan, vegetarian. Bookmark the permalink.